Are you looking for a delicious potato recipe with a difference? If you are, you’ve found it! 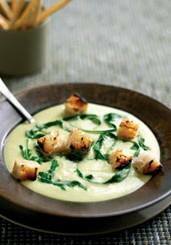 Here’s my leek, potato and rocket soup for you to enjoy. 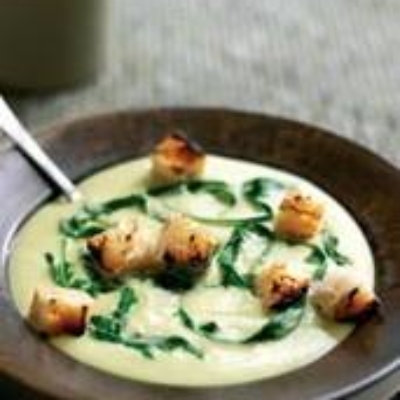 Feast your eyes on the finest leek, potato and rocket soup! It’s straightforward and fun to make this great dish. Simply follow the instructions below and get the perfect result. Melt the butter in a large saucepan, add the onion, potatoes and leeks and stir to coat the vegetables in butter. Continue to fry over a medium heat for about 10 minutes until the vegetables start to soften. Pour in the stock and bring to the boil, then reduce the heat and cook, covered, for 20 minutes. Pass the soup through a food mill and return to the rinsed-out pan. (Do not blitz the soup in a food-processor, as this gives the soup a gluey texture.) Add the rocket to the pan and cook, uncovered, over a medium heat for a further 6 minutes, stirring occasionally. Meanwhile, toast the ciabatta halves under a grill until crisp and brown. Leave to cool slightly, then rub all over with the garlic cloves and cut into 2cm cubes. Stir the cream into the soup, season with salt and pepper and ladle into warmed soup bowls. Serve immediately with a few garlic ciabatta croutons on top. 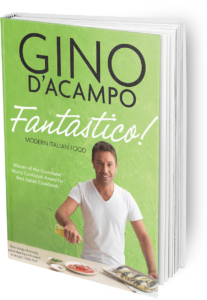 Once you’re done, simply sit back and enjoy your leek, potato and rocket soup and don’t forget to check out other great authentic Italian recipes including great antipasti recipes, Italian pasta recipes, Italian soup recipes, Italian beef dishes and authentic pizza recipes.